Based out of the Asheville, North Carolina, we are fortunate to be surrounded by a handful of beautiful rivers and creeks. Whatever direction it may be there are rivers nearby. 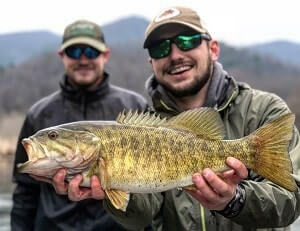 Southern Appalachian Anglers - Asheville fishing guide service, specialize in trophy trout, smallmouth bass and musky fishing. 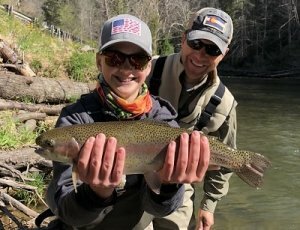 We offer full-day and half-day guided fly fishing float trips. Float trips allow anglers to float down the river in a drift boat or an outfitted fishing raft to cover miles of river. An incredible and relaxing experience that offers a day on the water in our beautiful mountains. Choose between trophy trout fly fishing, smallmouth fishing or musky fishing trips. If you are experienced and are just looking to learn how to fish a new river, take a look at the locations where we guide and decide what river you would like to visit. 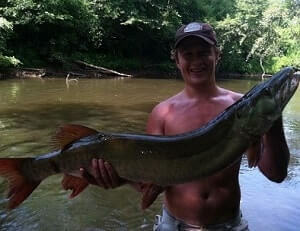 If you're new to the area, let your SAA local Asheville fishing guide choose your river- they always know whats biting! Ask about our group float rates! There are a handful of trophy fly fishing rivers in any direction you may choose. Our guides are highly skilled at fishing all of the rivers in WNC. Rivers we guide on include the Watauga River, South Holston, Tuckasegee, Nolichucky and French Broad. These rivers hold a wide variety of differnt species of fish. Including rainbow, brown and brook trout and smallmouth bass. With an abundance of forage, and numerous streams feeding these rivers, the fishing never slows down! These rivers offer healthy aquatic life for gamefish to feed on. Wade trips are also available on the Watauga, Davidson, South Holston, South Toe, North Toe, French Broad, and more! See all the rivers we float-down, here. 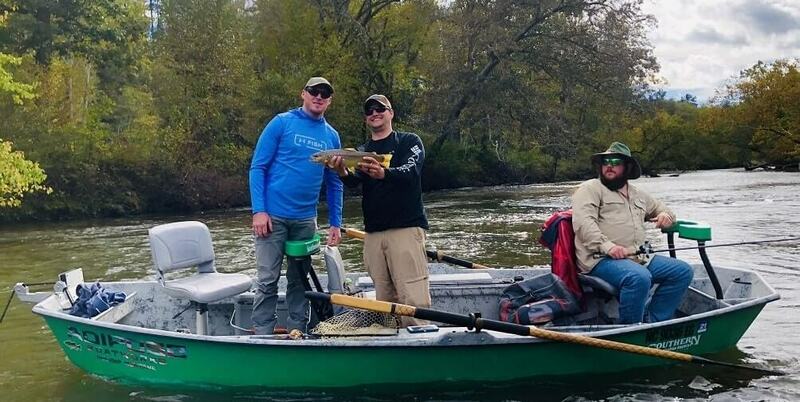 Southern Appalachian Anglers LLC offers a variety of guided trips to match specific trip requests. Whether you want to enjoy the beautiful river and mountain views by boat, or enjoy a relaxing day wading our smaller streams, SAA offers guided trips to make your stay in our area more memorable. We are a full service fly fishing outfitter so kick back, relax and let us do the work. Book your guide trip today by sending us a message online or call 828-691-1506. You may even catch the fish of a lifetime!